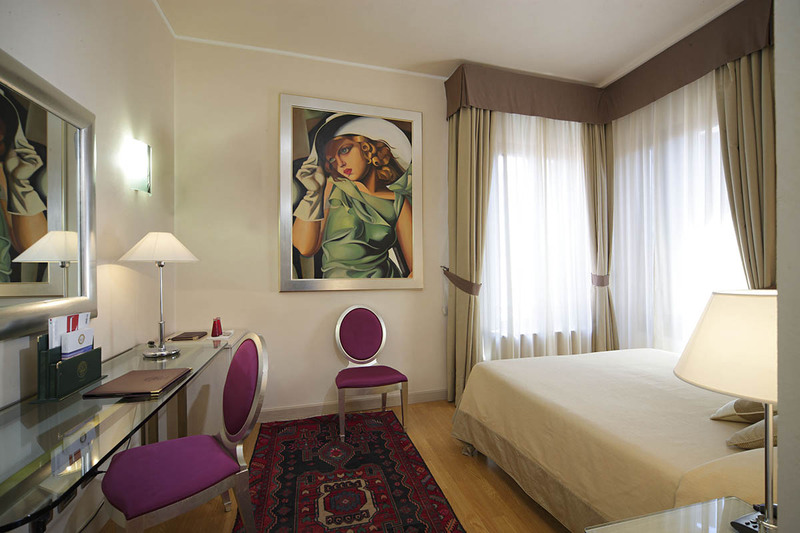 The captivating rooms at the 4-star Liassidi Palace Hotel are distributed over five floors. 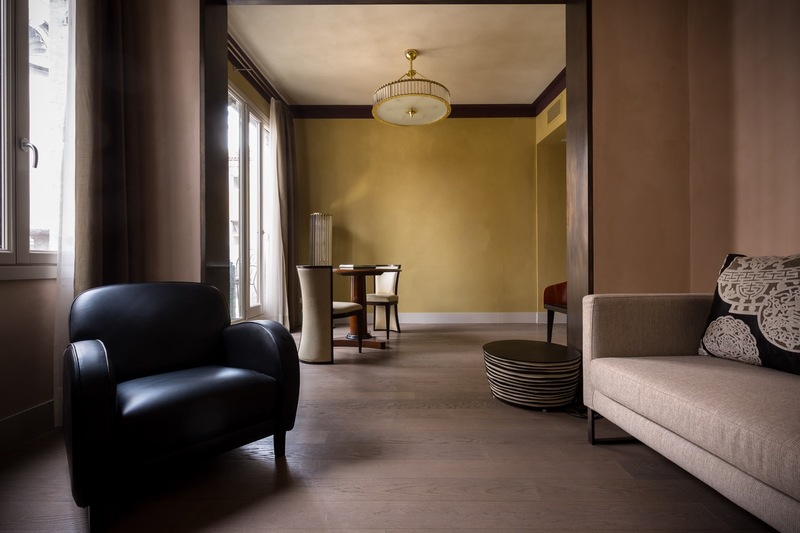 All are distinguished by their generous size and distinctive furnishing style that hits the perfect balance between contemporary design and 18th century Venice, making this one of the most accommodating and exclusive boutique hotels in Venice. A warm, inviting atmosphere is created with light oak and Italian walnut furniture, matched with skilful window decoration in sumptuous textiles and pleasingly combined with contemporary and 18th century design pieces and oil-on-canvas reproductions of famous works by Gustav Klimt, Tamara de Lempicka, Amedeo Modigliani, Paul Gauguin, Andy Warhol, Claude Monet, Pablo Picasso and others. All the rooms look out over the canal. Some have inestimable views of the San Marco basin and the church on the island of San Giorgio, and others of the beautiful church of San Giorgio dei Greci, the internal courtyard garden, or typical Venetian canal scenery. 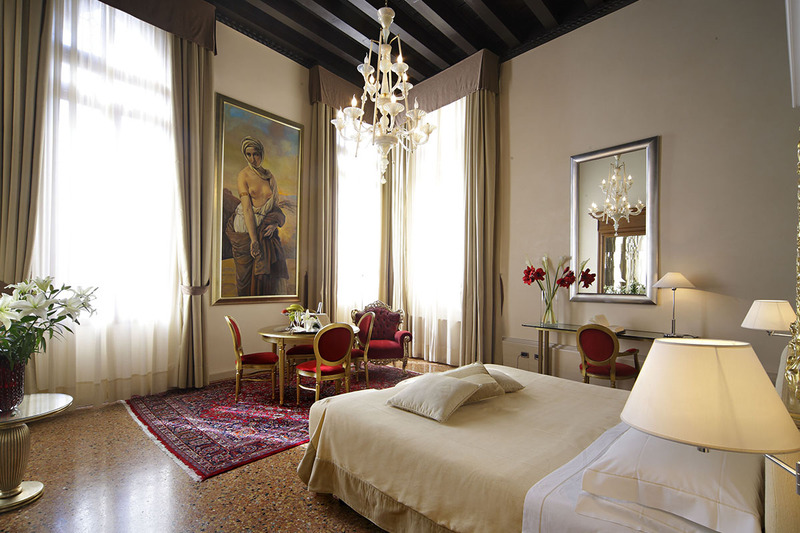 Relax in the comforting interiors of the rooms with their parquet floors or Venetian paving, high ceilings, Gothic style windows and delightful mirrored closets. Our spacious bathrooms are among our most prized features, and are equipped with every convenience including either a whirlpool hydrotherapy tub or ‘Scottish’ shower (alternating hot and cold jets), and walls clad entirely in bisque mosaic tiles. Overlooking the San Lorenzo Canal, these rooms are air-conditioned and equipped with minibar, flat-screen satellite TV, kettle and a selection of teas; bisque mosaic-tiled ensuite bathroom with whirlpool tub. A modern-style room in a separate building a short distance from the hotel, with views of the Canale dei Greci. Ensuite bathroom with large shower. 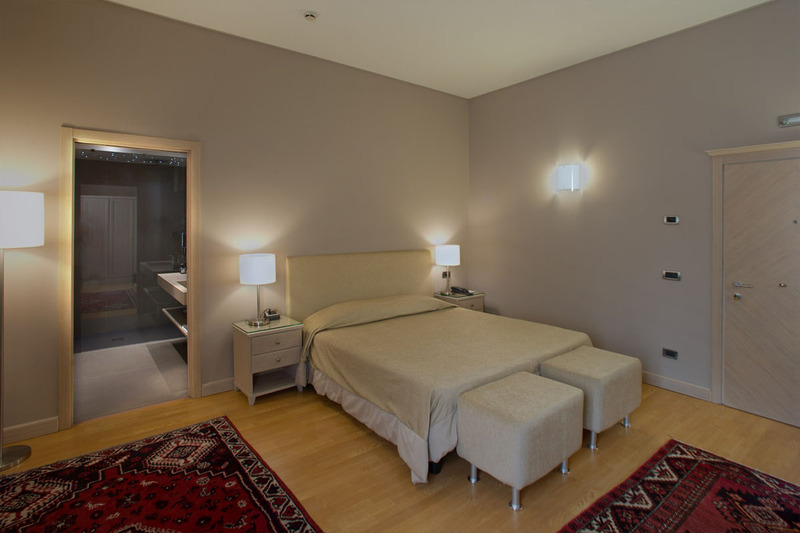 Located in a separate building a short distance from the hotel, ideal for families. 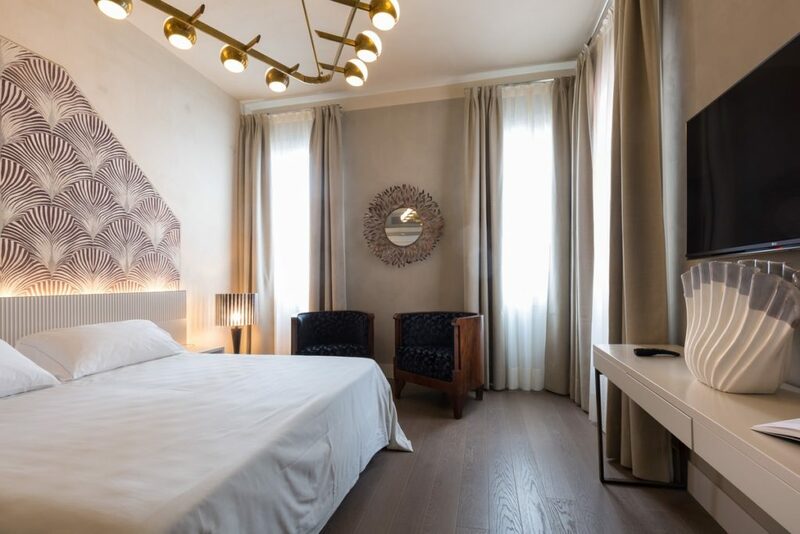 This new apartment comprises two bedrooms, two bathrooms, lounge and kitchen, and has a pleasant view of the Canale dei Greci. 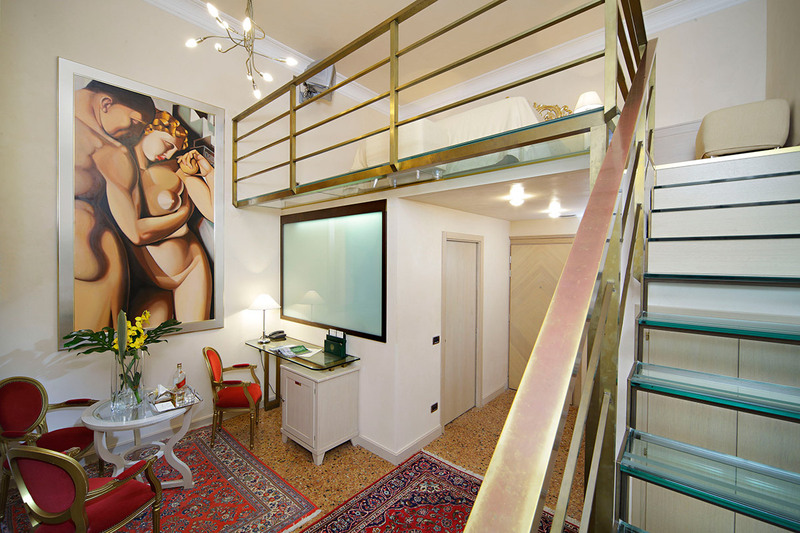 Our Wellness Suite in a separate building in a delightful location features charming details and enviable privacy. The bathroom with sauna annex, exhilarating shower, steam room and whirlpool tub is the icing on the cake. 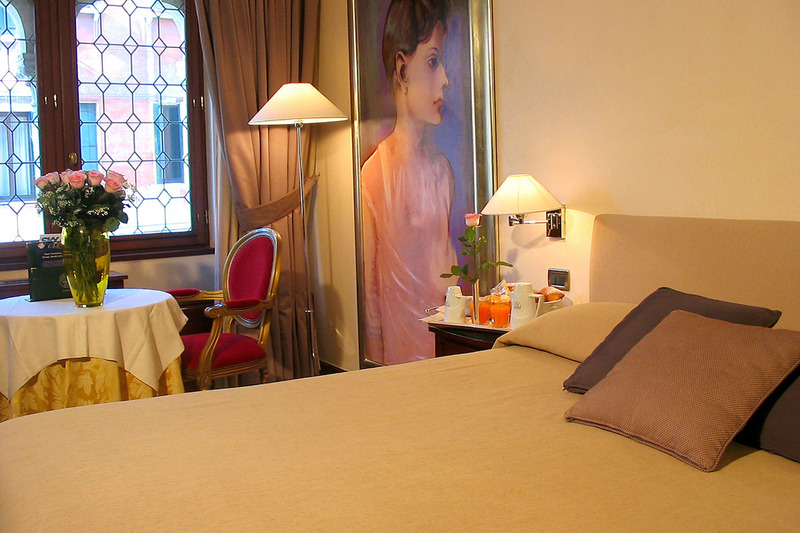 The furnishing is Art Nouveau style and features original furnishings and decoration. 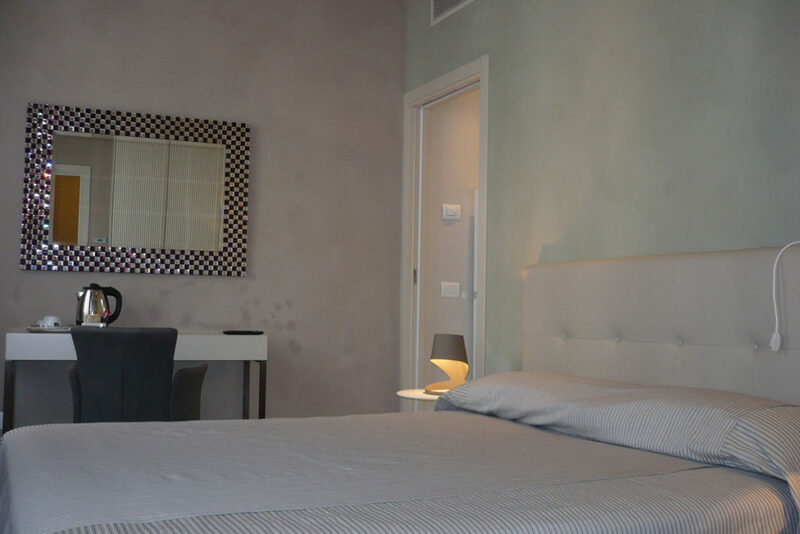 The bright, spacious “Ai Greci” apartment is located on the top floor of a building near the main hotel, and has a panoramic view. 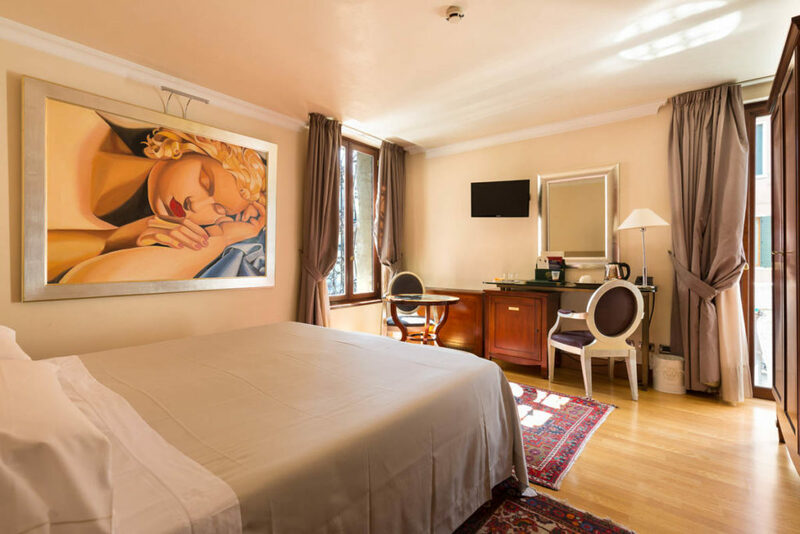 It consists of a large room approximately 60m², a second double bedroom 22m², kitchen, marble bathroom and wellness suite: sauna, steam bath and whirlpool tub. 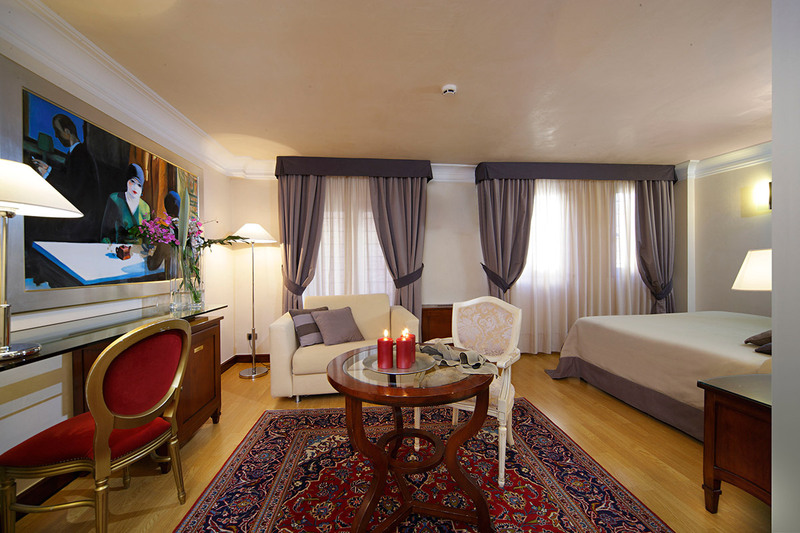 An enviably private room located in a building separate from the main hotel. 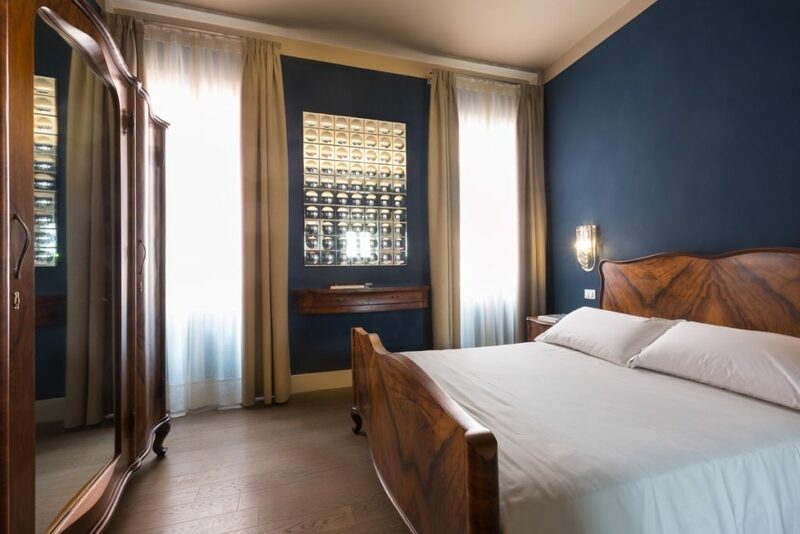 Approximately 22m² and furnished in classic Venetian style with original Art Nouveau details, it contains a large, comfortable double bed, bathroom with shower and complimentary toiletries.